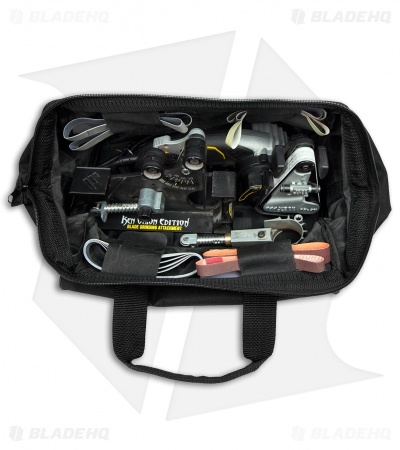 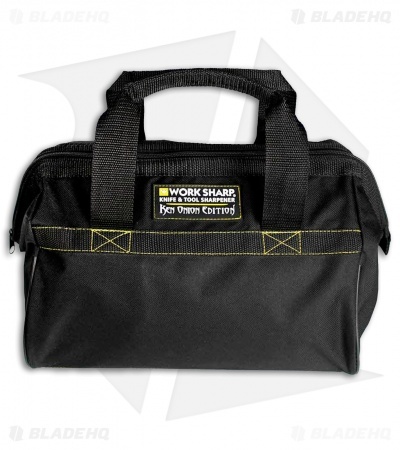 The Ken Onion Edition Work Sharp Gear Bag is large enough to carry the Darex Work Sharp, and includes plenty of room for additional accessories and belts. This heavy-duty nylon bag makes transporting your sharpening equipment a cinch. This listing is for the Gear Bag only. Work sharp and accessories sold separately.